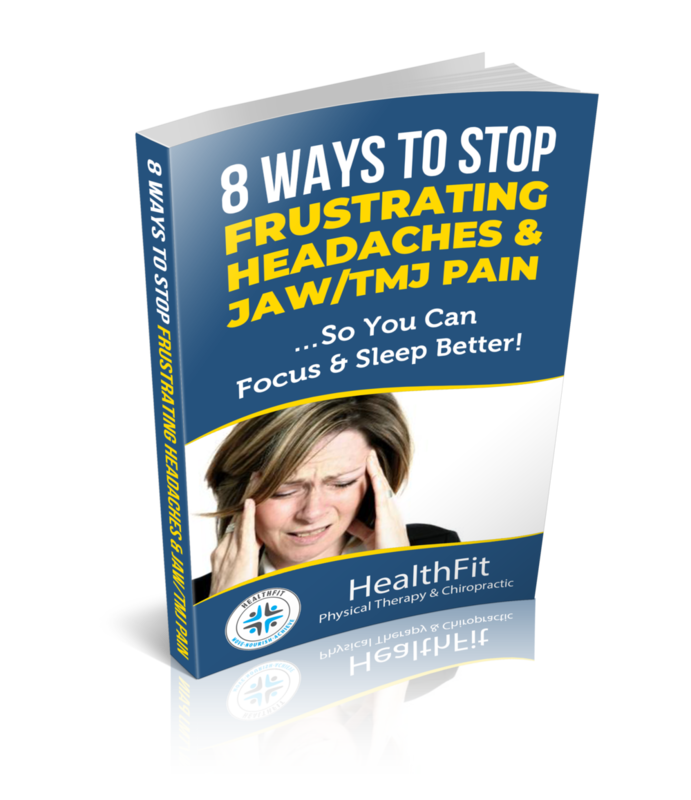 FREE REPORT: How To End Daily, Annoying Headaches & Jaw/TMJ Pain BEFORE It Gets Worse …Discover 8 Ways To Stop Your Pain Even If You’ve Been Suffering For Weeks, Months, Or Years…And You Want To Avoid Pain Medications! We’ll Show You EXACTLY How Any Person Suffering With Headaches & Jaw/TMJ Pain Aged 40+ Can END It, Before It Gets Much Worse! “Get In On ALL The FREE Advice Currently Being Given Away By Our Best Physical Therapists and Chiropractors To People Who Want To Know How To Bring A Fast End To Their “Daily, Annoying And Nagging” HEADACHE & JAW/TMJ PAIN…Before It Gets Any WORSE”! If you’re suffering with DAILY, ANNOYING and NAGGING Headache and Jaw/TMJ Pain, the first thing I want you to know is that we are familiar with your problem, ALL of your concerns are real and you ARE looking in the right place for a solution to end it fast. Headaches and Jaw/TMJ pain can be VERY serious and often times really affect your quality of life. Difficulty concentrating at work and not having the ability to enjoy the things you love can be quite debilitating. We've been doing this a long time and if you’re suffering with headaches & Jaw/TJM pain… one of our goals is to offer you a solution that will let you avoid the need for harmful medication. Your suffering is going to end fast. We know exactly what causes this type of pain because we see it EVERY DAY…and despite an often lack of visible signs of damage or injury, that may be a source of confusion, we know what you’re suffering from is real and it is painful and that it should NOT be ignored. More importantly, that there is HOPE for a future that doesn’t involve you being woken up through the night by your nagging discomfort or the unwanted tension in your neck, interrupting your good quality of life. It’s time to request our free tips report… do that by calling the office at 626-365-1380, or click the yellow button below to confirm your details.